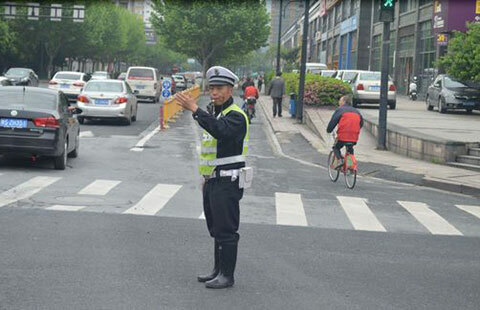 The National Health and Family Planning Commission announced Tuesday that it would launch a joint investigation into the Second Hospital of the Beijing Armed Police Corps after a cancer patient undergoing treatment at the hospital died. The commission will jointly investigate the case with the health division of the General Logistics Department of the Central Military Commission and the health division of the General Logistics Department of the Armed Police Corps. Earlier, the share price of search engine giant Baidu Inc plunged by nearly 8 percent on the first trading day in May on Monday on Nasdaq after the company faced an investigation over the death of a young university student who used its search engine to look for treatment for his cancer. Nasdaq-listed Baidu fell 7.92 percent, or down $15.39, to close at $178.91 on Monday in New York. Its market value evaporated more than $5 billion. 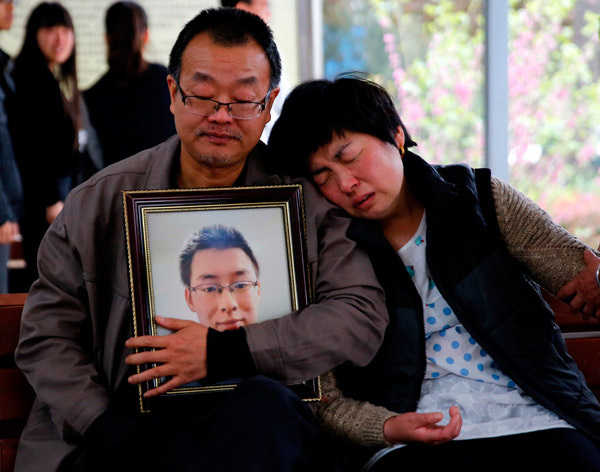 Wei Zexi, a computer science major at Xidian University in Shaanxi province, died on April 12. He was 21. Two years ago, Wei as a sophomore university student was diagnosed of synovial sarcoma, a rare cancer of the soft tissue in April 2014. Before that his dream was to continue studying computer science in the United States. He got into Xidian University in 2012 with high entrance exam scores, ranking among top 5 percent of his class. As a diligent student, he liked to study data model and was devoted to computer science. In addition, he liked to read history and literature. With good academic performance, he was expected to pursue further study after undergraduate courses. Life was totally different for him after the diagnosis. After that all he wanted was to live on. He took one year off from classes to undergo treatments, and even briefly returned to campus in March 2015, for about a month. After failed surgeries, chemotherapy and radiotherapy, he turned to immunotherapy treatment at a hospital in Beijing, which Wei found listed second from the top on the first page of search results on Baidu. From Sept 2014 to the end of 2015, he received the immunotherapy treatment, which uses cells generated by a patient's own immune system to kill cancer cells, four times at the Second Hospital of the Beijing Armed Police Corps. An article related to Wei's death and Baidu's medical advertisements and military hospitals started circulating on the internet on early Sunday, triggering an online outcry into the investigation into the search engine giant. The hashtags #Wei Zexi's death and Baidu's medical advertisements# became trending on Sina Weibo, the Twitter-like service, attracting some 80 million reads of online articles and photos as of 11 am on Tuesday. Some internet users cited President Xi Jinping's remarks on internet enterprises at a symposium on cyber security and informatization on April 19 to ask Baidu to shoulder social responsibilities. In his speech, President Xi stressed the responsibility of internet firms, saying that only by accepting their social responsibility can they be competitive and enjoy better development. Xi said web entrepreneurs should not regard clicks as their only goal, and search engines should not decide the position of websites in results just based on how much they pay. Before Wei's death, he had posted about his experience on the Q&A website Zhihu, calling the treatment useless and criticizing Baidu's paid listing practice. Paid listing is an internet advertising model used to direct traffic to websites. Search engines gain money from advertisers on each click to their ads. Google marks the ads with a color label and Baidu marks by two small, gray characters. Wei and his parents saw a light of hope as a doctor from the hospital told them that Wei could be cured at a rate up to 90 percent, while other public hospitals had said Wei's days could be numbered, the parents said. According to Wei's online posts, the immunotherapy treatment at the Beijing hospital cost the working class family more than 200,000 yuan ($31,000), most of which was borrowed from friends and relatives.